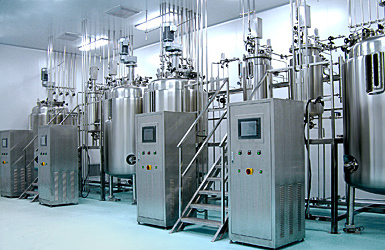 Suitable for the microbiological laboratory of science research institutes and enterprises as Ideal equipment for precision fermentation test, culture & preparation of animal & plant vaccine and bacteria reagents; the varying condition of fermenting liquid is clearly observable during the fermentation process while an optimal culture condition can be further found to achieve the goal of massively increasing the productivity eventually. The fermentor is introduced a sterile system to protect it from the contamination of microbes in the air so that the period of validity can be prolonged largely and the purity of product can be promoted. Stainless steel pneumatic lifting / fermentor is suitable for the microbiological laboratory of science research institutes and enterprises as Ideal equipment for precision fermentation test and variety of small-scale fermentation tests relevant to microorganisms; also, the equipment is featured with excellent ability and ease of operation that allows the user to select the corresponding structure and forms according to the fermentation technology; there are fungus canister and fermenting canister mounted for a multilevel fermentation. 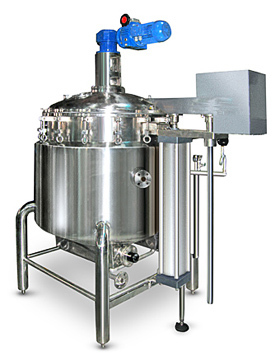 Pneumatic lifting / fermentor is introduced a mechanical agitation system atop. RPM of agitator is ratio-less adjustable. Vessel type: airtight, three layers.